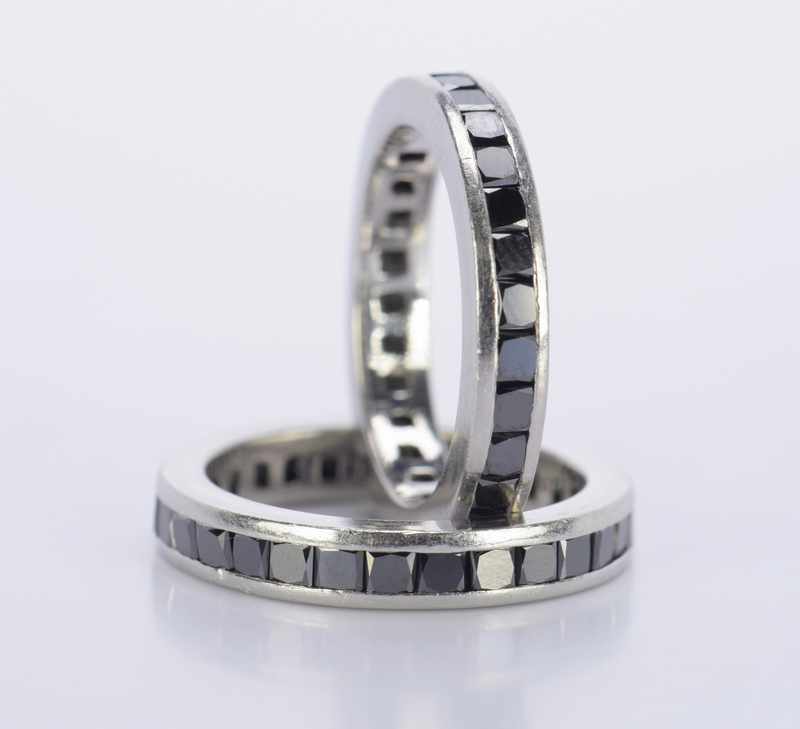 Two black diamond eternity rings in platinum mountings. 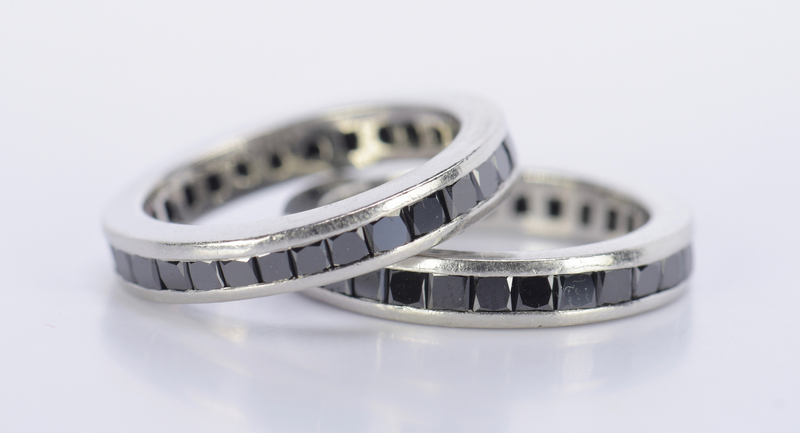 Each contains 30 square cut brilliant cut black opaque diamonds, average 2.2 mm x 2.2 mm, approximately 2.65 ct total weight. 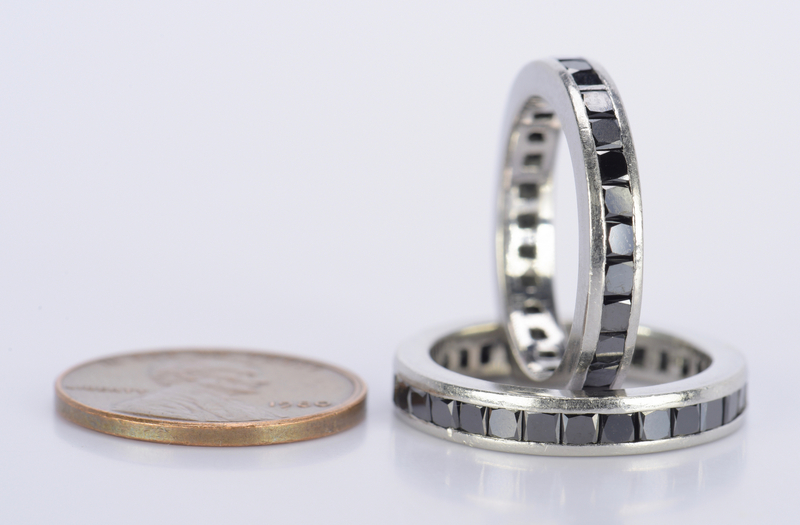 Diamonds are channel set in single row completely around ring. Mounting is cast construction platinum, width 3.6 mm. Ring size 6 1/4. 12.6 grams together. Estate of Jane McKinnon, Lenoir City, TN. CONDITION: Overall good condition with some surface scratches on mountings.